With thoughtful planning, you have the power to make a difference in the lives of our hungry neighbors. Join Pledge Partners, our monthly giving society, by using your credit card, checking or savings account, or your own checks. To sign up online for Pledge Partners using your credit card, please click here. To use your checking or savings account, or to request donation envelopes for your checks, please print the Pledge Partners form and mail to the address listed on the page. Alternatively, you can sign up over the phone by calling 614.317.9409. If you have any questions or concerns please email or call Becky Barger-Amato at 614-317-9463. 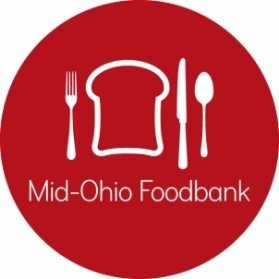 Sponsor an event for your organization or business benefiting Mid-Ohio Foodbank. Click here to register your third party event. For more information, email Carol Zimmerman or call 614.317.9403. Register your third party event today! Below are links to valuable information about the many creative ways in which you can meet both your personal planning and charitable giving objectives. 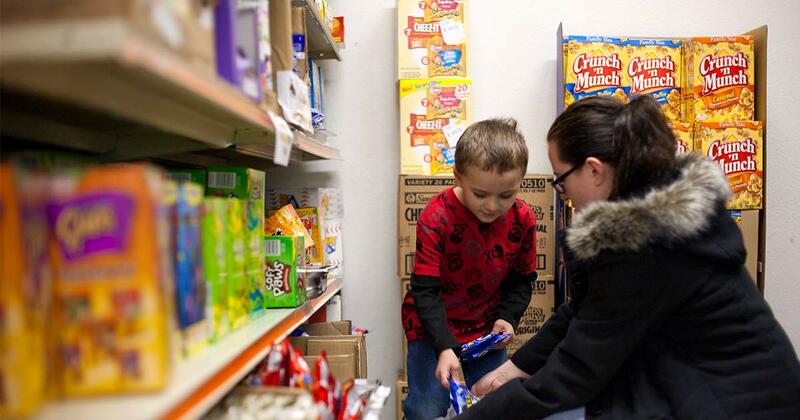 By working with you and your advisors, Mid-Ohio Foodbank will ensure that your philanthropy not only maximizes the benefits of available tax incentives, but also creates a lasting legacy in the fight against hunger. A gift of stock is a great way to maximize tax savings and support hungry families. • Avoiding capital gains on the profit you’ve earned. • Receiving a full tax deduction for the fair market value of your gift. Notify us of your gift. Stock donations transfer to Mid-Ohio Foodbank’s account with no accompanying donor information. Please notify Jerad Wood at Mid-Ohio Foodbank of your donation by email, fax, or phone so that we may identify your gift and send you a tax receipt. By including Mid-Ohio Foodbank in your will, you can leave a lasting legacy that will help us end hunger. Your assets remain in your control throughout your lifetime. Under current tax law, there is no upper limit on the estate tax deduction for your charitable gifts. Providing Mid-Ohio Foodbank with a significant annual gift while continuing to make lifetime withdrawals on your account. Provide Mid-Ohio Foodbank with a significant annual gift while you continue to make lifetime withdrawals on your account. Alice was hard to miss – standing watch over two sets of high-spirited twins at Mid-Ohio Foodbank’s onsite pantry. Alice didn’t expect to be living in Columbus right now. She particularly didn’t plan on a visit she made a year and a half ago stretching through two cold Ohio winters. September 2013 should have been a joyous time for Alice, and for a while, it was. Her oldest daughter Erica was expecting a baby boy. The doctors had told Erica this pregnancy was high risk, but Erica had hoped so hard for a boy. She already had five girls – a 10 year old and two sets of twins ages 3 and 4. It was certainly a houseful, and this much-wanted little boy was to be the last. Alice came up from Mississippi to lend a hand and welcome her newest grandchild. The delivery was tough. Erica’s c-section incision should have healed just fine. Instead, she developed a staph infection. Ten days later and with little warning, she collapsed. Alice remembers getting the call. 3:17 A.M. When she reached the hospital, the staff sent her down a hallway to speak to the doctor. Halfway down, she knew in her heart that something was very wrong. The hospital chaplain was there. Erica had passed away at age 32. Alice’s life had completely changed in that moment. Allyson and Allicia are now six. Khadejah and A’iesha age five. Alice also has custody of their older sister. The youngest, only ten days old when his mother passed, lives with his father but visits his grandmother regularly. “It takes so much organization to keep everyone fed”, says Alice. “Tuesdays are my Mid-Ohio Foodbank days.” Other days are scheduled to volunteer at the Salvation Army or get the two older twins to girl scouts and tutoring. Alice and her grandchildren miss Erica every day.